The city on the South China Sea is a place where people have been making things happen ever since the British Empire set up a trading colony in the 19th century. Hong Kong returned to Chinese rule in 1997 but its entrepreneurial legacy lingers in the form of a city that infuses business dynamism with an Asian spirit. 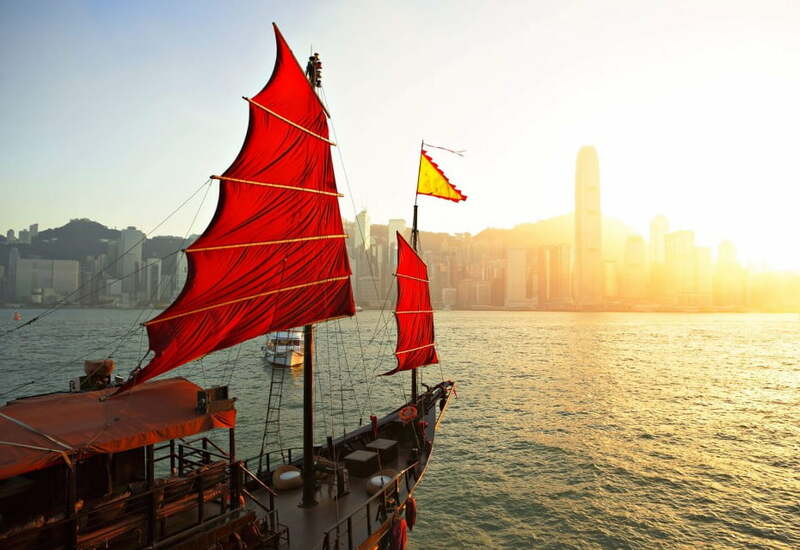 Visually, Hong Kong is distinctively stunning. Looming skyscrapers are clustered around the superb natural harbour, with peaks and islands providing natural contrast. Over 70% of Hong Kong is mountains and countryside but somehow 7.3 million people live here. The city boasts the second-largest number of high rises in the world, creating a distinctively towering cityscape. With apartment living the norm, Hong Kong locals bring their energy and creativity to the street. There are buzzing markets, districts full of specialty stores and restaurants that never seem to close. If you’re a night owl make sure you check out the thoroughfares of Lan Kwai Fong, which are packed full of bars and clubs. Revellers tumble out at all hours, heading to the next karaoke session or live performance. There are buzzing markets, districts full of specialty stores and restaurants that never seem to close. Fun and food go together – and few cities can rival Hong Kong. This is a city that loves to eat. Enjoy exquisite yum cha in a traditional setting such as Maxim’s Palace – a spacious one-room restaurant overlooking Victoria Harbour. Try mouth-watering street food while seated on a wooden stool at a rickety folding table outdoors on Stanley Street. Or book yourself a table at one of the city’s many Michelin-starred restaurant, and enjoy delicacies prepared by some of the world’s leading chefs. Whatever your budget, you’ll be able to eat delicious food in Hong Kong. Last but certainly not least, there’s the shopping. If fashion is your passion, head for the Fashion Walk shopping centre in Causeway Bay, where you’ll find funky local brands such as Liger and Juice. Get that bespoke suit you’ve always craved at one of Hong Kong’s famous tailors, and check out the handcrafted Luxury leather goods at Volare in Causeway Bay.